Rockweld 55-27™ | Abatron, Inc. This slightly abrasive surface works well for sculpting, repairing, and restoring stone, concrete, masonry, terracotta, and ceramics. Hand shape or sand by hand or with mechanical tools. Stone-like appearance when cured. Can be painted, as well as colored, with dry pigments. Chemically resistant and unaffected by atmospheric conditions. Bonds to wet and dry surfaces. Hardens in 2-4 hours. Q Would this product be appropriate to build-up a heavily worn/trafficked stone door step... 0" at the sides to 3" in the middle, about one foot from front to back ? 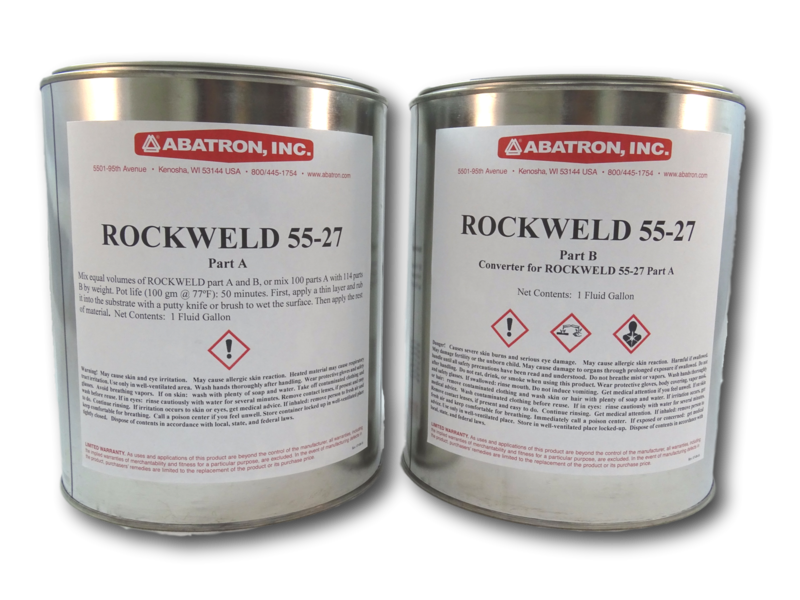 You can use Aboweld 55-1 for your application.